Employee Spotlight – Vincent “Jimmy” Maglio, Jr.
deliver the shipments on a daily basis are the backbone of our industry. these dedicated men and women. 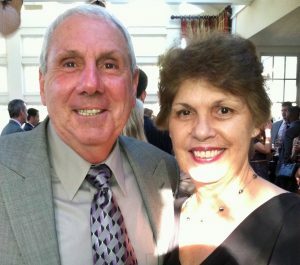 Born in Hackensack, NJ to Jim & Faye Maglio on February 11th, 1947, Jimmy has always loved not only working, but being around people his entire life. Jim has had a lucrative career in the moving industry. He has enjoyed an impressive musical career as the lead vocalist for his music group the “Use to Be’s”, which was started in 2005. He won his first singing contest at the age of five and was a member of an a cappella group in the early eighties. He spent his childhood in Hackensack, NJ until joining the the Air Force in 1966 where he served his country for four years. One of those years was spent serving in Vietnam. Thank you for your service Jimmy! He has always enjoyed people and understanding their needs, which is shown not only in the career path he’s taken, but also in the Psychology degree he received from New Jersey City University in 1975. He has worked with the public starting as a manager in 1970 with Howmedica Orthopedic Implants, as well as running a limo service and answering service until 1976. In the moving industry, Jimmy has spent over 40 years dedicating his life to helping families and individuals through educating them on moving. Helping them walk through one of the top 5 most stressful events in their life. He has received many accolades in the moving industry over the years, including: Top Acheiver with North American Van Lines putting him in the top 5% of Relocation Specialist in the country for over 12 years. An Ambassador Club winner, as well as an International Relocation Specialist winner, just to name a few. experience helps to ease their mind. His career started with Sardina Moving Company in 1976 where he worked as a short haul driver/packer and was introduced to the relocation specialist role, which became his passion. Jimmy moved on to Colonial Moving based in his hometown of Hackensack, NJ where he spent 25 years, and eventually owning Berkshire Packing & Crating where he spent 19 years. He moved to Southport, NC, in January 2005, where he started at Cardinal North American and stayed for 4 years before going with Mayflower, where he spent the next 4 years. After his time at Cardinal North American and Mayflower, Jimmy has called Coastal Carrier Moving & Storage home since 2014. We are honored to have his 40 plus years of experience in the moving industry and wealth of knowledge he brings to our team. Thank you Jimmy for your outstanding contribution and dedication to all of our customers and employees at Coastal Carrier.